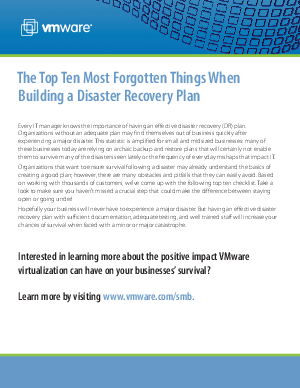 Every IT manager knows the importance of an effective disaster recovery plan. Organizations without one may find themselves out of business quickly after experiencing a major disaster. This checklist can help make sure you haven't missed a crucial step that could make the difference between staying open or going under.